New construction is more than just hammers, nails, and wood. New construction is more about bringing years of experience and hands-on expertise to bear on a project that will give life to a client’s dreams. At JT Glynn Construction, we understand what it means to put your faith and trust in a contractor. We know that building a house is not the same as building a home. We work hard to make sure that you’ll get the home you’ve always wanted. As a registered, licensed, and fully-insured building and remodeling contractor, we’ve been involved in new construction for over a decade, building new homes, condominiums, and commercial buildings throughout New England. Unlike some contractors, our new construction teams work on a project from start to finish. This makes for a more effective construction process and a better-built home that’s finished faster and more efficiently than those done by contractors who are constantly juggling subcontractors and shuffling different workers in and out of new construction projects. No matter what we’re building, regardless of style, size and type of home or office, every new construction project receives the same high level of attention, the same quality materials, and the same expert craftsmanship that will ensure many years of comfort and satisfaction. Our experience and expertise in new home construction also helps us save money for clients because we have the sources and relationships to get the best materials at the very best prices. We understand the entire new construction design and build process — we know exactly what and how much material we’ll need to do the job right. 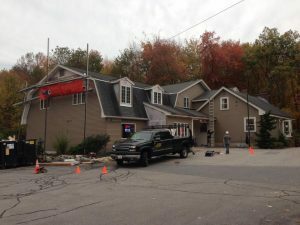 To learn more about new construction for southern New Hampshire and central Massachusetts, contact the new construction specialists here at JT Glynn Construction.